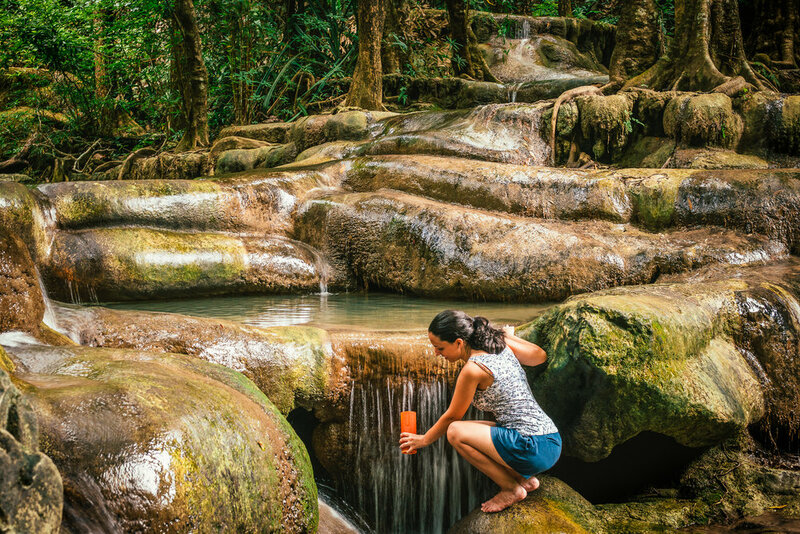 Kanchanaburi has a harrowing tale that surrounds it’s most-visited man-made attractions — but it also has some of the most beautiful natural sites in all of Thailand. 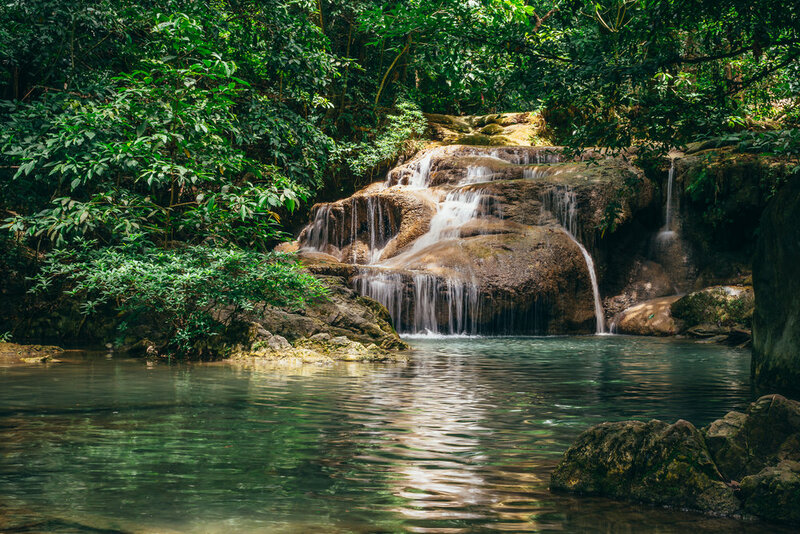 Erawan National Park is one of these sites. Welcome to the Photo Journey 002, the second part of our Kanchanaburi Photo Journey. 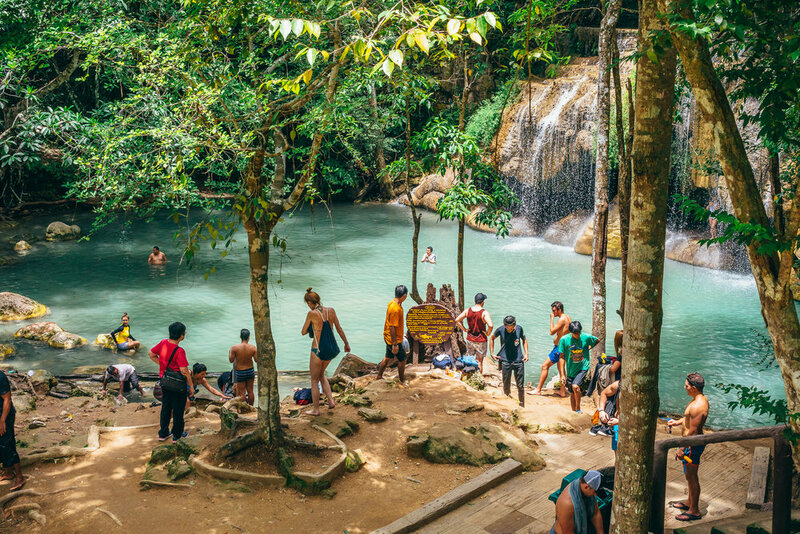 One of the main reasons for Erawan National Park’s fame is Erawan Waterfall (aka Erawan Falls). 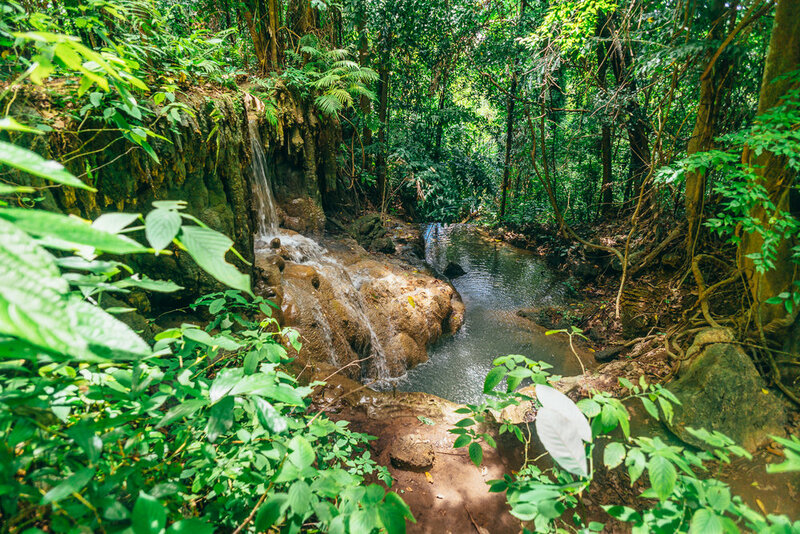 There are several caves and a few trails to embark upon within this park, but the waterfall is the main reason to visit. 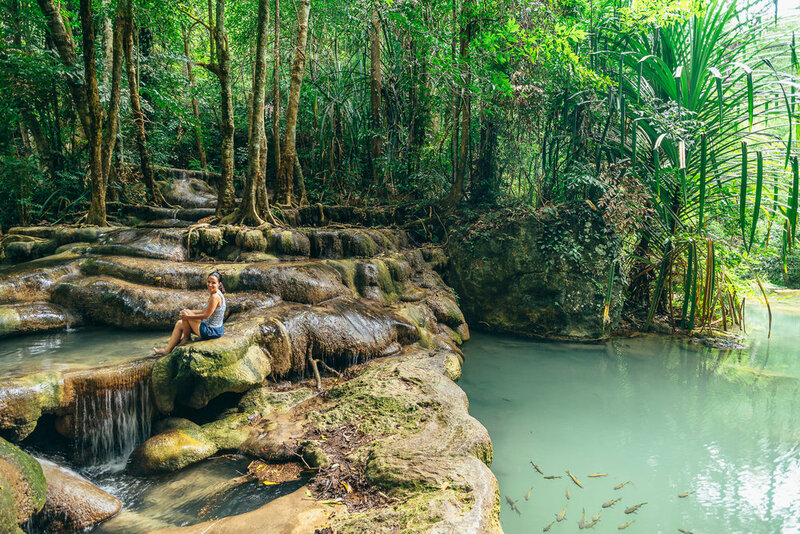 Erawan Waterfall is, as a whole, a colossal waterfall made up of 7 distinct tiers over 1.5 km of uphill trekking. 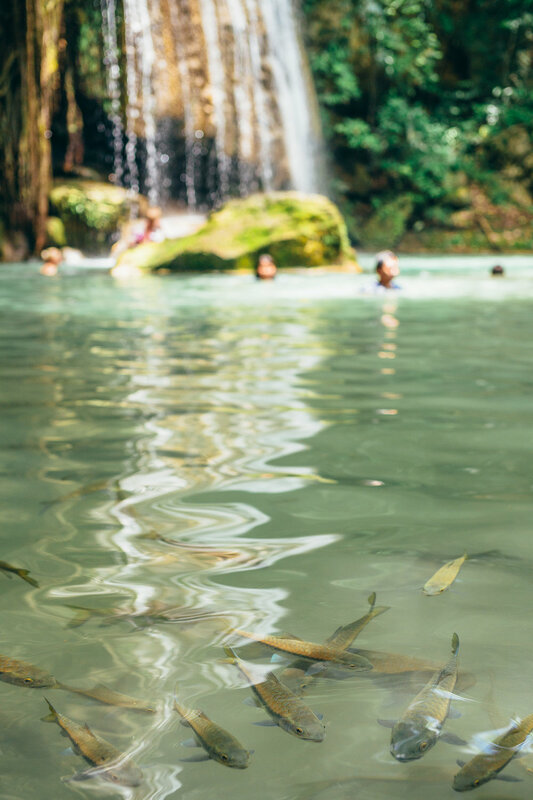 Each tier has its own collection of flowing streams, cascading waterfalls, and emerald green ponds filled with small schools of fish. 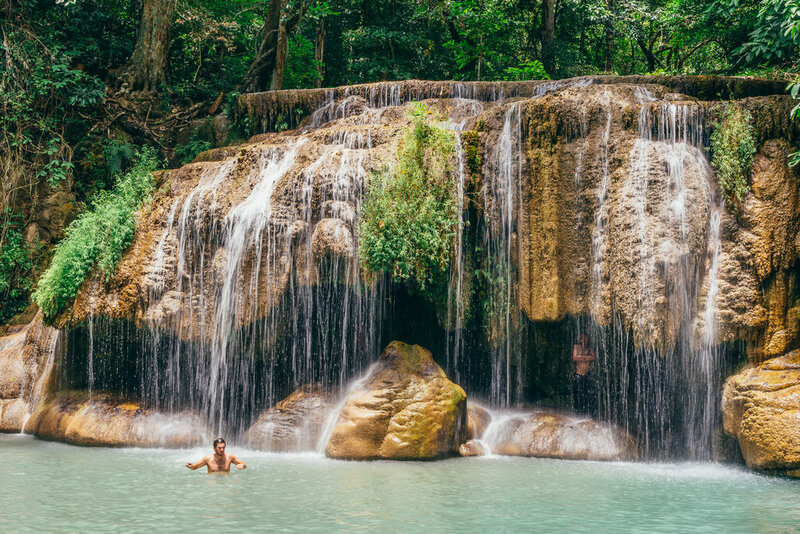 This is a waterfall you want to visit, whether you’re in Thailand or not. At the end of the article, you’ll find a small collection of practical tips we’d recommend making note of if you’re planning on visiting the park. This series of photos is a small collection of our day getting to the waterfall, trekking upwards, and then making our way back down. Wear appropriate sandals or shoes! The rocks and stairs and trails are incredibly slippery, so a pair of flip-flops/thong sandals will at best be annoying, and at worst result in injury. Getting to Erawan National Park from Kanchanaburi is fairly simple. 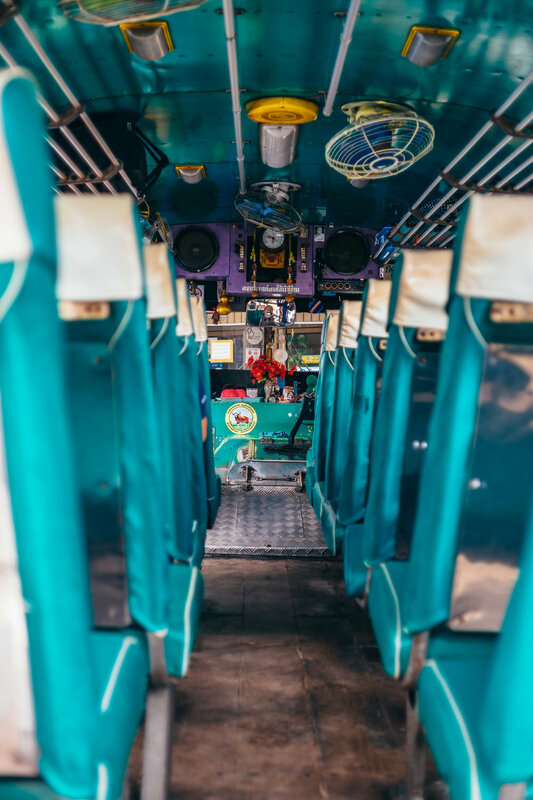 If you prefer the cheaper route, you can take a public bus from the Kanchanaburi Bus Station (this is what we did). 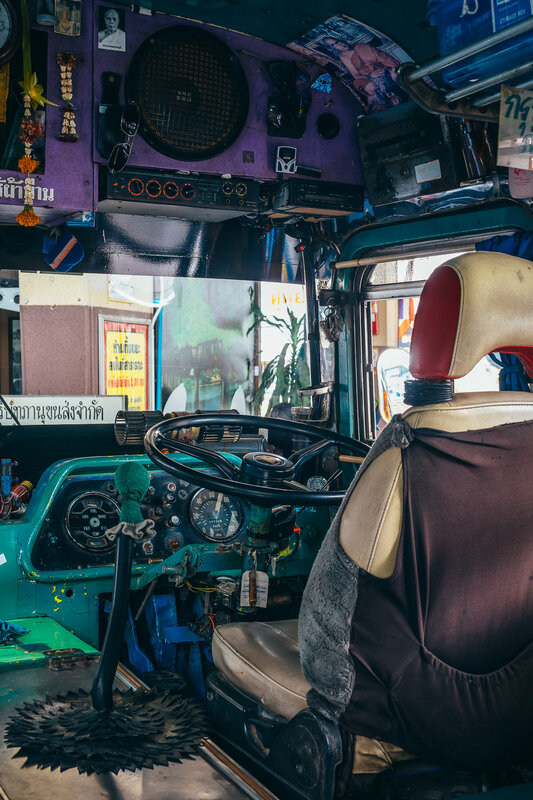 For a faster and more convenient ride, you can hire a mini-van or taxi driver for a round-trip, but beware – this can cost up to 60 times as much! There are a few restaurants and facilities near the entrance of the waterfall. Just keep in mind that they’ll charge you a very small (refundable) fee for any plastic drink bottle you take into the park. This kept us from having to pay any fee at all.